One of the skills I seem to have developed is writing “velvet hammer” prose. By that I mean writing letters, announcements, greetings, directions, etc. that are simultaneously kind (the velvet) and direct (the hammer). Lawyers love to use hammers. In my experience, coating the hammer with some velvet resolves the issues faster and better than legal proceedings. So for those of you wanting to hone this skill, I present three tips and two scenarios to get your started. Manage your emotions/ Avoid personal attacks. Use your emotions to elicit empathy from the receiver. This is a business issue that requires professionalism. If you start calling people incompetent, stupid or lazy, you are unlikely to get cooperation from them. State the facts and your expectations clearly. That means telling people what you wanted and how the product or service or delivery fell short. It also means outlining what you believe would be an appropriate recovery. Be prepared to work toward an amicable solution. There are always at least two sides to every situation. In these situations, you feel wronged or that you have been somehow the victim. The reality may be that there are other mitigating factors. In all likelihood, the product or service you ordered or bought is something you needed and you purchased it from an organization you trust. You want to product or service to perform to the standard you purchased and you would like to organization to take a step to restore your trust. The hammer approach would be to demand a refund or discount within days of receipt of your correspondence and refuse to do business with the organization again. The result of this approach may very well provide the financial compensation you seek but leave you without a supplier for the product or service. 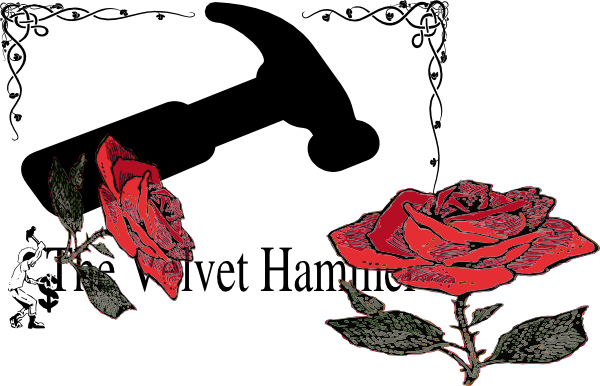 To put the velvet on the hammer try some empathy, e.g. I know this isn’t the way you like to do business, our business relationship is one I value and that why I … Give specifics about your concerns; instead of this product doesn’t work, say what specific aspect of the product doesn’t work. Tell the organization what you need, by when and then ask the organization what they would suggest and how they would like to fix the issue. You likely assigned this task to this person because you believe in them. Now you just need the project done and you are way behind. The hammer in this instance is usually powered by anger and frustration which make it a power tool! Even though the deadline is past and you are in a tough spot, try to direct your emotions elsewhere. The person you need to do the work is not your target. Issuing ultimatums and threats against the person, is only going to get two people emotional. The velvet is established when you express clearly and unemotionally, the very difficult position you are in and what needs to happen now. If you can, make it clear that your emotions are directed at the situation in which you find yourself – not the person who got you here. Ask what the real barrier to achievement is and ask the person what help they can provide to get the job done. The time to learn lessons – the post mortem – is after the job is done.